Even though traditionalists loathe the idea of anything not being done in-house, it goes beyond saying that in 2017 outsourcing is more than a common business practice. Sometimes, it is both cheaper and more convenient to just get an expert outsider than to try to train, equip and fund your own department. Not to mention the fact that it would take months, perhaps even years, for your team to gain the same level of the expertise. Be as it may, while a lot of companies outsource their customer support, accounting, and web design, there are other fields you could outsource, as well. With this in mind and without further ado, here are a few business practices you probably didn’t know you could outsource. A thing that makes this particular outsourcing idea… let’s say controversial, is a fact that a lot of companies tend to be quite jealous of their prototypes. You see, some even decide to sit on their most valuable discoveries for years in hope that some of their competitors will stumble upon it by chance and therefore commit a copyright violation. Still, research and development take a lot of work, meaning that such a team would have to perform demographic and market research, financial analysis and many other complex tasks. This alone is the reason most companies decide that it is much more cost-effective to deal with this overseas. Another thing that some companies decide to outsource is presentation design. No matter how brilliant your idea might be, there is always a risk that your investors won’t understand it the way you intended. Framing your thoughts in a format that is both engaging and enticing takes a lot of skill and experience, which is again why so many companies decide to entrust this function to someone more competent, like professional presentation design services providers. Features like structure, narrative and visual style play a key role in your persuasion attempts and you need someone who thoroughly understands them. Of course, training your own team-members in this field might seem like a smarter long-term choice but sometimes you simply may not have this luxury of time. If you decide to take a look at any guide on outsourcing, most of them will advise you to keep doing core tasks in-house. No matter how wise this may sound at first, upon a closer examination, you will realize that all major conglomerates outsource their production. Reasons behind this are usually more convenient labor laws abroad, cheaper workforce or more affordable raw materials abroad. Sure, some may still discuss just how ethical this course of action may be but no one can deny its cost-efficiency. One of the greatest misconceptions regarding telemarketing is that it has no place in the world of modern marketing. The truth is that it no longer gives the same stand-alone results but it still works quite well as the support of your digital marketing. In other words, these days you can effectively use telemarketing in order to boost your website traffic and in this way enhance your digital marketing campaign. Still, there is a thin line between making people interested and annoying them on the phone and crossing it can be quite costly. There are certain skills a good telemarketer needs to possess but at the end of the day, even good might not be good enough. When you need the services of the best, it might be time for you to outsource. Finally, while some companies prefer to get their own company vehicles when it comes to the transportation of employees, this seldom comes as worth the cost. The greatest benefits of such methods would be the chance to label your company as green by reducing its carbon footprint but this can be done through outsourcing, as well. As for the cost-effectiveness, like always, it is short-term cheaper to outsource and long-term cheaper to handle it in-house. The funniest thing about this list is that it is only a tip of the iceberg. In fact, the list of tasks you can (and even should) outsource seems to be much longer than the one of the tasks that absolutely need to be done on-spot. Some honorable mentions are scheduling, voicemail support, employee retention, and healthcare. The world is your oyster, only now you might want to consider getting someone else to shuck it, coat it and fry it for you. This entry was posted in Outsourcing and tagged Manufacturing, outsourcing, presentations, telemarketing, transportation on August 10, 2017 by James. In the last 10 years or so (with the emphasis on the last few), people have gone absolutely crazy for everything digital and everything that happens online. Marketing people, sales people, even the decision-makers; everyone has been totally in love with digital and web-based. A few years later and they are slowly beginning to realize that not everything digital is the best thing ever and also that not everything offline and traditional is bad for business. One of the marketing tactics that is really making a big comeback is telemarketing. Good old-fashioned practice of picking up the phone and telling people about your services or products. There is no one reason why telemarketing is making a bona fide comeback. Instead, it is a combination of reasons, all of them making telemarketing interesting and attractive once again. For one, marketers are pretty much disappointed by the majority of online marketing techniques. They are fun and they do show promise, but when it comes to the bottom line and actual conversions, much of them have been shown to be all but completely ineffective. Companies have started realizing that and putting more emphasis on actual results. It should also be pointed out that with so many people doing social media marketing and SEO, it has become much more difficult to make an impact, especially if you are a newcomer to the party. Another reason that telemarketing is making a return is that it has become more intelligent and personalized, especially in the B2B arena where it is possible to tailor the calls to specific decision-makers and where it is possible to use advanced tactics like appointment setting. Of course, as we are warned by a lead generation company from Melbourne, you need to know who to hire for these advanced tactics. More than anything else, however, telemarketing still provides that person-to-person interaction that people are craving in an increasingly disconnected world. If done right, telemarketing can put a human face to your operation. Telemarketing is something that the vast majority of companies in the world will not even attempt to do themselves. It requires an entire department and plenty of people to do it the right way. Sure, smaller telemarketing campaigns can be done in-house, but for the most part, you will be outsourcing it. Therefore, doing your telemarketing properly comes down to finding the right people. 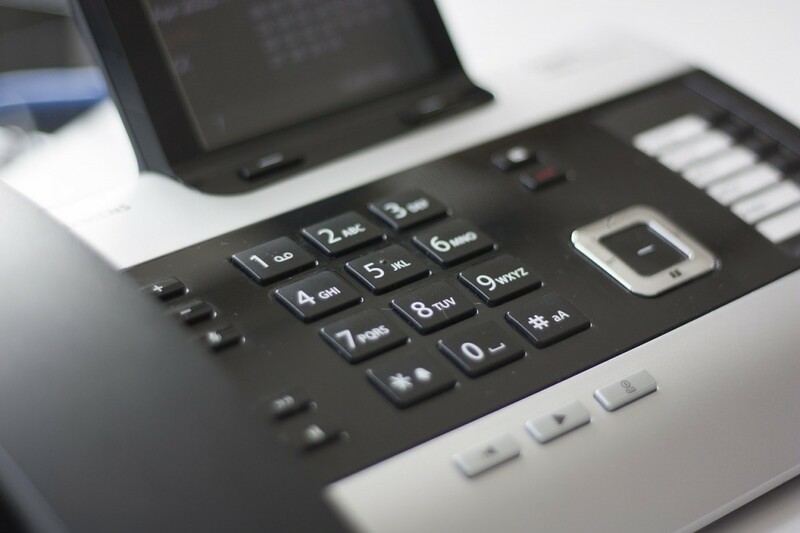 Perhaps the easiest way to go about this is to contact someone like Globality Consulting who will have all the right contacts and put you in touch with the right people for your telemarketing needs. If you wish, you can do this yourself and if you choose to do so, there are a few things you need to consider. For one, you will want to work with a company that has been around for a long time. Telemarketing companies pop out around the world like mushrooms after rain and you need to make sure that the people you work with will have standardized practices in place, skilled people and great management. In addition to this, you will want to know that their past work involved businesses like yours. They will all tell you that they have worked with great success in your industry, but when you ask them for references, some of them will start evading your questions and actually providing you with references. Avoid such companies. You need someone who can prove their experience and expertise. Of course, you will also want to be smart about getting into a contract with your new telemarketing partners. You should never sign long-term contracts that will lock you in for extended periods of time, making any adjustments very complicated and costly. Once you find your new telemarketing partners, it is absolutely crucial that you consider it an ongoing relationship which requires your attention. Set regular dates at which you will review the services your suppliers provide. If you are not sure you are getting the service you were promised, talk to your telemarketing people and tell them that you think they are not delivering. If they are doing a good job, tell them this as well. Telemarketing is back and it can do wonders for your company. In order to reap all the benefits, however, you will need to have just the right partner, so choose carefully. This entry was posted in Outsourcing and tagged appointment setting, B2B, marketing, offline marketing, online marketing, outsourcing, telemarketing on October 28, 2016 by James.